Kassie Meyer is one of the nicest people you’ll ever meet. She’s mild, meek and humble and is wise beyond her years. She’s been through a lot, living through the harsh demands of the Watchtower, Bible & Tract Society while battling clinical depression at the same time. Listen to her story, be encouraged and learn how she is loving life after Watchtower. Joy Grant talks about her struggles as a Jehovah’s Witness woman and how despite all of her accomplishments, it took her many years to gain self esteem after leaving the organization. She had the opportunity to have an up close view of Watchtower leadership being married to an elder at age 18 and invited to join the Bethel family at 20. Joy shares a wealth of knowledge in observing the Watchtower through her own personal experiences throughout the years and being a victim of their many broken promises. She witnessed her parents and a host of other friends suffering from decisions made based on the Watchtower’s failed predictions. 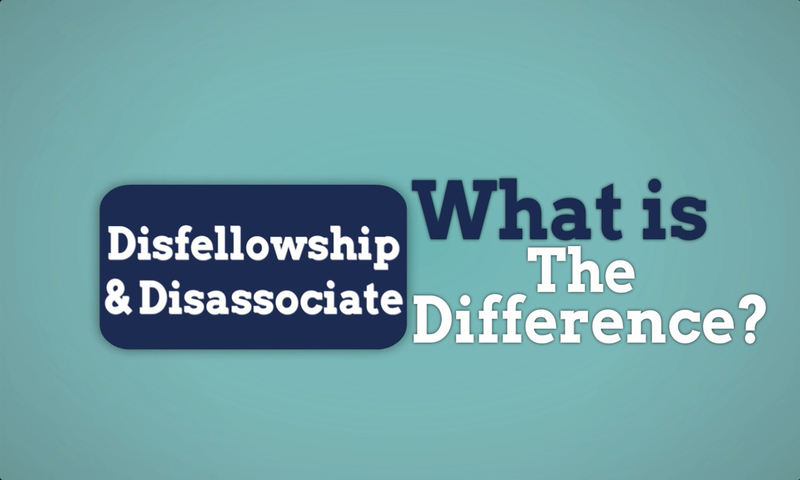 This podcast goes into a brief explanation on the differences between what it means to disassociate vs disfellowship in the Jehovah’s Witness faith? If you are one of Jehovah’s Witnesses, you have a requirement each month to turn in a time slip indicating how many hours, books, magazines and a host of other production numbers to the Secretary in your congregation. He will then tabulate all of the hours for each publisher in the congregation and send the final numbers to the Watchtower, Bible & Tract Society. This podcast goes into detail on how those numbers are used to measure the spirituality of its members. It is amazing how your character is judged by what you report or should we say, “don’t report” each month. Because when the traveling overseer aka Circuit Overseer comes to visit the congregation every six months, he takes the pulse of the congregation to see how everyone is measuring up. Does this sound like a religion or a business parading around as if it is a religion? You decide! This podcast is the first of many that is dedicated to the struggles of Jehovah’s Witness women. To share your personal experience in confidence, please contact Lady C [aka Cathy] at exjwct@gmail.com. Each month, if a Jehovah’s Witness wants to retain their active status as a member, they are required to turn in a timesheet to report their activity for proselytizing. This entails providing the number of hours they spend talking to people about God and recommending that they attend meetings at the Kingdom Hall. They must also indicate the number of books, magazines and return visits they made on individuals interested in their message. When the Jehovah’s Witness turns in this timesheet, they are also required to sign their name and hand it in so the service overseer can keep track of their activity. 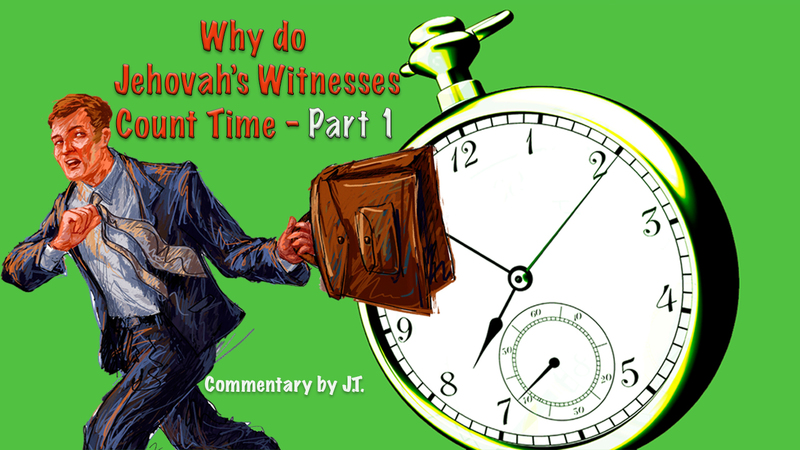 The Watchtower, Bible & Tract Society claims that the reason why Jehovah’s Witnesses count time is so that they can better manage their resources. For instance, they claim that they use this information to ascertain how many presses they need to buy, how much paper they will need to print more books and magazines or know what area of the country people are placing more magazines and books. It’s interesting how the Watchtower always encourages people to look at the foundation or the history as to where a particular teaching comes from. Because Jehovah’s Witnesses have a tendency to deny that counting time is a requirement. When Jehovah’s Witnesses were first told by the Watchtower, Bible & Tract Society all over the world, that they would now be required to turn in the amount of time that they talked to people about God, many of the people said you’ve got to be kidding. It became an issue to the point where the Watchtower writers had to address it. People on the Watchtower editorial staff sat in meetings trying to find ways to convince Jehovah’s Witnesses around the world, that they need to turn in their time. They did so by coming out and making the statement that this is a requirement of God. Counting time is when Jehovah’s Witnesses are on the clock while they minister to others. Some people have encountered Jehovah’s Witnesses coming to their home. Members must report the time that they spend talking about God and account for the literature that they distribute on timesheets. Comedians have joked about Jehovah’s Witnesses and their door-to-door activity by making comments like, once you let them in your house, you can’t get them out; don’t let them in or they will be there all day. The reason why when Jehovah’s Witnesses are talking to individuals they are always long winded. It is because they are counting time, yes, they are on the clock. Counting time is a teaching required by Jehovah’s Witnesses and is sanctioned by the Watchtower and according to them it is endorsed by God. JT used example of Pharisees washing up to the elbows as a requirement of God, instead of being introduced as common manners as an example of men making up requirements of God in the past. Counting time is used to determine who will be promoted and get positions in the church in addition to managing resources. JT compares the practice to forging a bounced check with God’s name on it. Being one of Jehovah’s Witnesses was quite a unique experience. Not everything we were taught and believed was shared with outsiders. We observed a lot of cognitive dissonance within the organization. We would see the crazy things that took place but literally refused to own up to it and admit it to those we were trying to convert. And we would complain amongst ourselves about the unfair treatment some brothers and sisters received for certain decisions they made, where others seemed to get a green light and a pat on the back for doing the same thing. If a non-Jehovah’s Witness would ask us something about the organization that did not make sense, we would immediately explain it away. To the person asking the question, they didn’t realize that the Jehovah’s Witness was not telling the entire story. Because the average Jehovah’s Witness is no doubt one of the nicest people you will ever meet, there will be many individuals that will feel we are trashing or vilifying their religion when we write in our blog to educate others about their teachings. But, you must not forget, that we too were once part of this organization and believe me folks; you can’t make this stuff up. To speak about the Jehovah’s Witnesses in the manner in which you will read in this blog – YOU HAD TO LIVE IT TO TELL IT! We can attest to the fact that we defended our faith to the bitter end so imagine how we felt when we discovered that the teachings we had been led to believe our entire lives was false. That is a hard pill to swallow! To vilify or to recite an experience, we’ll let you decide. To look back over our past life experiences, we cannot believe that we actually thought this was the TRUTH! But, it is what it is, and we are here to let the world know that anyone can be misled under the right circumstances. And yes, there are many Jehovah’s Witnesses that may not follow to the letter every teaching set out by the Watchtower editorial staff aka JW.ORG and if known by others in their congregation, they are NOT celebrated. There are many facets about the Jehovah’s Witness culture that if you are not part of their organization, you will NOT know or understand how members are perceived if they say, act, or do certain things. And rest assured, if you go on a fishing expedition to question them, they will not be forthcoming with the TRUTH about the matter. Just keep reading and learning, and you will see that you cannot control the actions of seven million people and call yourself a unified organization in every sense of the way that the Watchtower editorial staff claims.